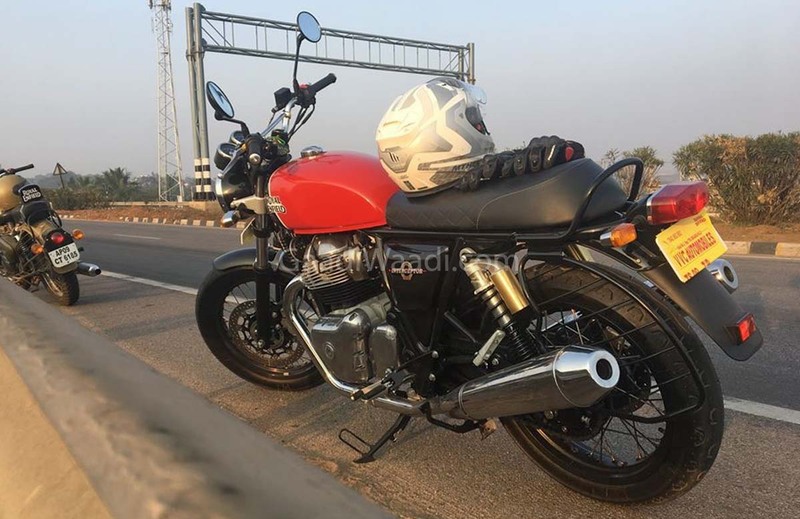 Royal Enfield launched the all-new Interceptor and Continental GT 650 in the Indian market last year. Both the bikes have become quite popular in the Indian market and have received an overwhelming response from the market. Both the bikes have long waiting periods in the market. Royal Enfield officially offers a total of six colours. 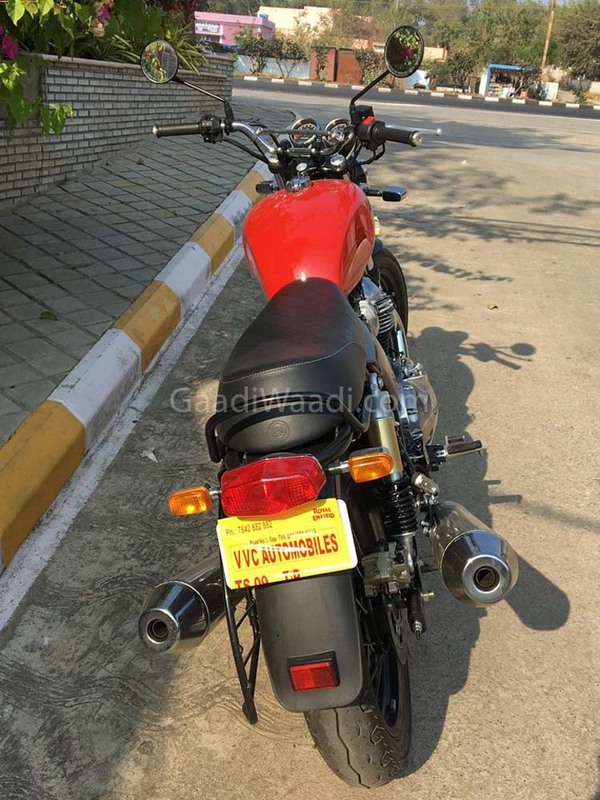 While the colours like the Crush Orange have become a common sight on the road, here is the glimpse of Ravishing Red colur option on the Royal Enfield Interceptor. The colour looks extremely good on the bike. Also, this the only colour option that offers a proper dual shade on the tank. Apart from the Crush Orange and the Ravishing Red colour, there are Glitter and Dust, Silver Spectre, Baker Express and Mark Three colour options available in India. 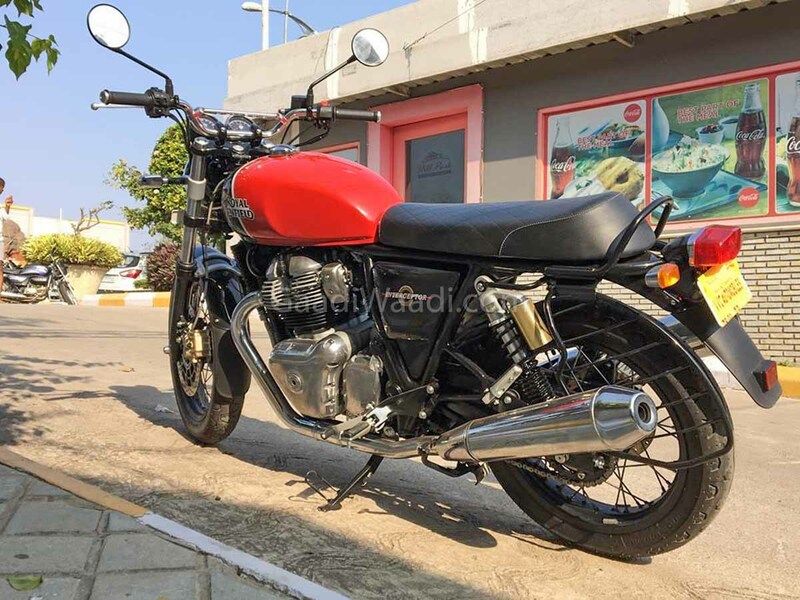 The Royal Enfield Interceptor became the most affordable parallel-twin engine powered bike in the Indian market. The Interceptor starts from Rs. 2.34 lakhs and the Continental GT starts at Rs. 2.57 lakhs. Royal Enfield 650 Twins outsold all the competitiors in the same price segment last month, including the popular KTM 390 series that includes the 390 Duke and the RC 390. Both the bikes are based on the new “P” platform and are powered by the same parallel-twin engine. 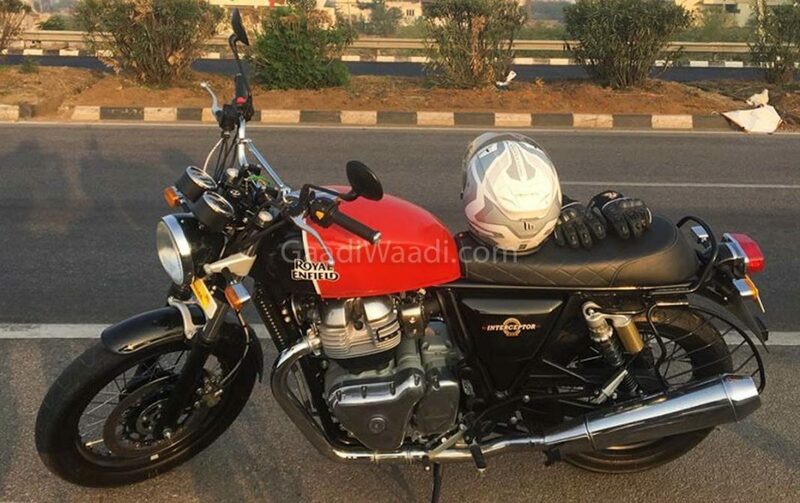 The 647cc, air-cooled and oil-cooled engine of the Royal Enfield Interceptor and the Continental GT produces a maximum power of 47 Bhp and a peak torque of 52 Nm. The engine gets four-valve set-up. The power reaches the rear wheel through a six-speed transmission. The gearbox also gets slipper clutch as standard. Both the bikes get disc brakes on the front and rear wheels and dual-channel ABS is standard. 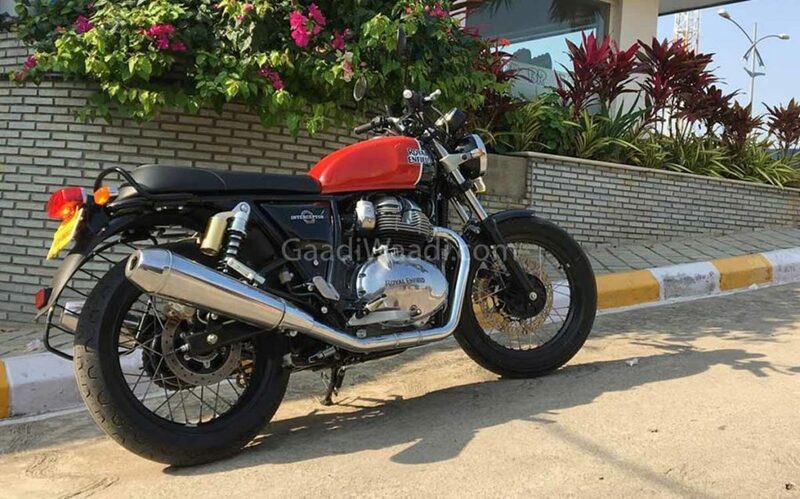 Royal Enfield Interceptor weighs a massive 202 kg while the Continental GT weighs 198 kg. Both the bikes are quite heavy but that’s how Royal Enfield bikes have always been. Royal Enfield is expected to launch a range of bikes based on the same platform next year, which may include Himalayan 650.